Last September, I introduced you to the relatively newly formed rock/jazz/R&B outfit The Aquaducks, who hail from Nashville. The band has tightened its sound and with a more professional video to support “This Far”, they continue to get across their fun-loving, live-off-the-floor sound which is pretty well guaranteed to blow the roof off of any small club. Creigh Reipe’s crisp vocal and Paul Violante’s inviting sax lead the way in the performance part of the video amid the funky jazzy business. And in the rest of the loosely structured but amusing plot, the band seems to be trying to play in the legendary Ryman Auditorium but ends up running around Nashville under watch. Quack to that 🙂 I’m hoping that “This Far” is the start of the quality work that you will get to know from The Aquaducks. It seems like a long wait since 2009’s The Boy Who Knew Too Much, but Mika’s third album The Origin Of Love arrived this month. While the album on the whole is sturdy and entertaining, it’s taken a while for me to warm up to it. Where past albums have focused mainly on danceable electronica/pop, with some variation, The Origin Of Love switches it around, putting diverse musical styles first over commercial content. That may make it seem like a transitional album for Mika, but I’ve got to admire his confidence for assembling such a varied amount of songs. The album starts with the title song, which is a big production number, but doesn’t stick with that style and proceeds directly to pure pop in the form of “Lola”, “Stardust”, and the warm-hearted (if synthetic-sounding) “Make You Happy”. I tend to like the songs where Mika clearly speaks his mind, such as “Overrated” and “Love You When I’m Drunk” over some of the other electronic pop-oriented songs like “Underwater” and “Kids”. The album gets better with the creativity of “Popular Song” (based on “Popular” from the play “Wicked”) and his most welcome English remake of his French language smash “Elle me dit”, here reinvented as “Emily”. That song could become a hit all over again in the English market. “Heroes” gets softer and more thoughtful, and the album wraps up with the joyous “Celebrate”, the first single with Pharrell Williams, which is still gradually growing on me and has a video (watch below) which in some ways reminds me of the abandon of 2009’s “We Are Golden”. Overall, The Origin Of Love is a triumph of content over style and performance. 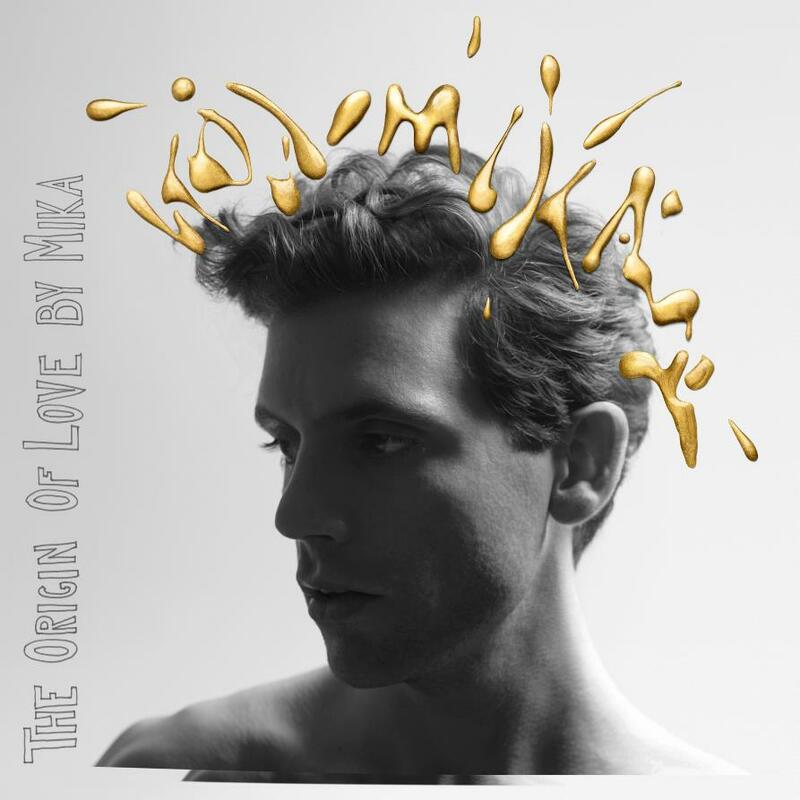 There aren’t as many vocal gymnastics from Mika on his last record but I think if there were, they would take away from the essence of the songs. Give The Origin Of Love some good solid listens and I think you’ll be pleased, and the songs should certainly translate well into live performance. If you’re a regular reader, you’ll know that Adam Tyler has continued to win me over since his debut single “Friction” in 2010. Not only does he have the songwriting chops and the team behind him to make things happen, which has resulted in him playing all over the USA, Japan, Ireland, England, and Spain (but not Canada…. hmm… yet), but he’s also got a voice that has grown over the past few years. We got a taste of Adam’s talent in videos of “Torn” and “Turning Tables” (below), plus stripped down versions of “I Won’t Let You Go” and “Emergency” on his Shattered Ice album of last year. So it’s only logical that you should invest in Acoustic Ice, an EP of additional bare-sounding versions of some of the best songs from Shattered Ice. “Like A Drug”, “Pull The Trigger”, and “Music Freak” have all graced the Top 10 of my personal chart, and the blood and guts of these songs come out when less is more in terms of production. The other songs are the title track, “Let Me Breathe”, and “Taking Back My Love”, the latter like “Pull The Trigger” a much more pointed rendition depicting an end of a relationship. Overall, Shattered Ice is a great way to showcase the vocal talent which some of you have seen in concert, and is a sweet segue into a new slew of songs. 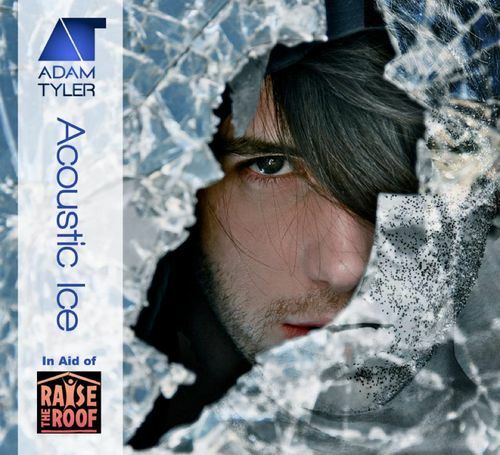 Acoustic Ice is available for purchase from Adam’s website and all proceeds go to the Raise The Roof Kenya foundation. Great music for a great cause. I’ve had the pleasure of hearing the Lifelines EP well in advance of its November 5 release, and my reaction was instant. In time I think this latest effort from UK duo Rebecca Rosier and Denmark Davis will become a favourite of mine this year. As with earlier single “Scream” and lead off single to the EP “Lights Out” (video below), every song within Lifelines is full of intense emotion, powerful vocal interaction, and key lyrical moments that resonate long after the song is over… “you can have my heart, if I can keep my soul” from next single “Burn”, “I will make you see ….. stars” from “Lights Out”, “I’m scared to death that you’ll try to forget” from “Untouchable” – powerful, urgent stuff. So with that taste for you, I’ll be reminding you about Lifelines closer to its release. 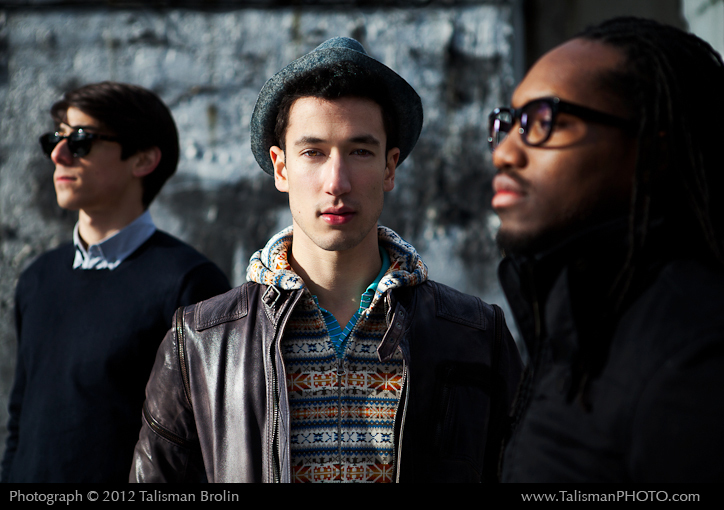 This EP precedes a full album of the same name due in early 2013. As this trio from New York City wraps up a Malaysian tour in Brunei of all places, you can get to know their infectious hybrid jazz/rock courtesy of the free download (with email subscription) of “Fairytale” from their website. The song also appears on their recent EP Ghost Stories and has that kind of vibrant, piano-led melody that will turn heads. Andy Suzuki & The Method have been garnering praise throughout the last few years with awards coming from their local city. When they return from Brunei, they will be touring various cities in the U.S. Get a taste of a live performance of “Fairytale” below. Do not – do not – let the name fool you! I love humour mixed with music, and The Aquaducks look like they have that in band name and pic below. So until we have some pics to show all their faces, take one look at the video below for “Fuel The Funk”, and you’ll see that this Nashville septet is seriously full of many talents that offer not only pop/rock but jazz, R&B, and reggae stylings in their mix. And those voices will silence even the most inattentive crowd. You can download “Fuel The Funk” below and some other songs from Soundcloud that show how potentially dynamic The Aquaducks can be.